Wow! Another month gone and a whole list of great new stuff for photographers to tell you about! As always, we're excited to bring you the latest and greatest in photography gear and other innovations that pros and serious amateurs will want to know about right away. I won't keep you in suspense. Here's what's hot for August, 2015. No serious photographer would ever go outdoors without a polarizing filter. When it comes to eliminating reflections, cutting glare and enhancing blue skies, there's simply no substitute. 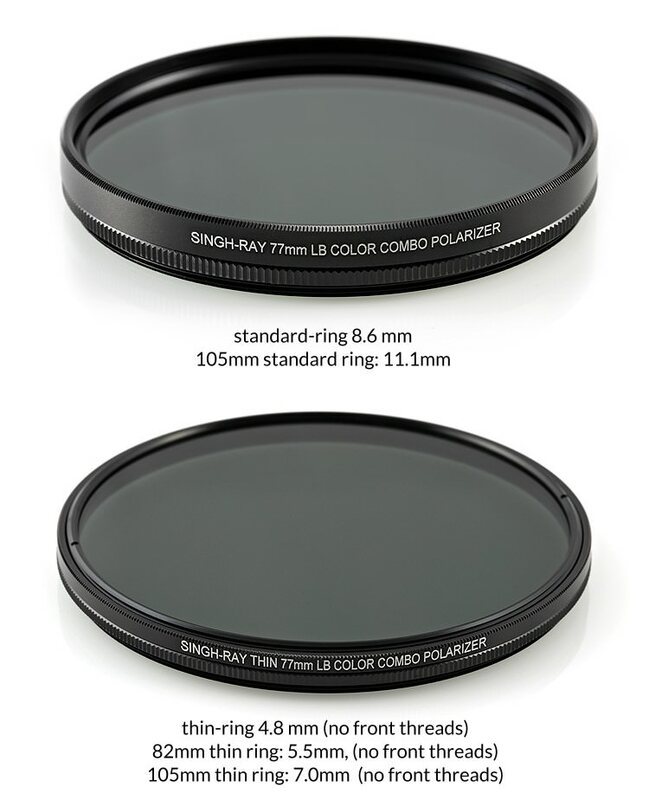 If there's a must-have filter for landscape, nature, architectural and street photography, the circular polarizer has been it for a few decades or more. It's just lost that status to this filter from Singh-Ray! Alright, I may have stretched things a little with that last statement, since this is actually a warming polarizing filter. The fact is, though, it's got a little something extra that you're really going to like. In addition to polarization of light, the LB Color Combo Polarizer brightens colors, pumps up local color contrast, enhances shadow detail and increases saturation in warm tones, reds and greens. With 2 stops of density, you can even use this filter to lower your shutter speed for nice motion effects. What's more, it does all of this with the sharpness that earned Singh-Ray filters their stellar reputation. This is the go-to filter for many pros and you only need to try it once to understand why. Find out more and get yours here. No matter what your level of involvement in photography, viewing your images correctly is important to knowing how they're going to look to others. If you're selling those images, it isn't just important; it's critical. Judging color and tone on an uncalibrated monitor is, frankly, a bad idea. Prints won't match the colors you see on an uncalibrated monitor. Adjusting colors for printing requires extra editing. Different monitors show colors differently. Monitor color can shift as your monitor ages. Without calibration, you may not be seeing the true colors of your image. Fortunately, the folks at Datacolor have a solution to the color matching problem that's quick, easy, accurate and affordable. The Spyder5 calibration system gives you true-to-life, accurate color from all your monitors in no time, with its powerful software and colorimeter with a patented, 7-detector engine. The entire process is simplified with a wizard that walks you through it step by step. Periodic checkups are a snap, too. Three bundles are available to let you choose the features and price range that match your needs and budget. Whether you're a hobbyist or full-time professional, there's a Spyder5 package that's designed for you. Don't waste any more printer ink and paper or your valuable time on a monitor that needs calibrated. The Datacolor Spyder5 is one of the best investments you'll ever make for your photography. Check it out here. Did you miss FotoFusion 2015? If so, you won't want to make that mistake in 2016, so we're letting you know early enough to get your tickets while they're still available. STUDENTS: If you're enrolled in a qualified academic program, you can apply for a scholarship to attend, so go check it out early! For the rest of us, tickets are available for individual events or there are two Passport levels that give you access to multiple events throughout the week. Don't miss this opportunity. Go visit the website, check the schedules and sign up today! The question of whether a photographer needs a web presence isn't even a question anymore. These folks have been providing high-quality websites, ecommerce solutions, promotional tools and more for photographers since the company launched its original offerings in 2000. They were among the first to offer photographers a fast and easy way to create a functional, responsive website without the need for coding skills. Their innovative new product, Snap!, makes it even easier to create the complete package you need to host, market and sell your photos and products made with your photos. The product line includes solutions for every aspect of the photography business and can be purchased as a turnkey solution or packaged to work with your existing online presence. From selling digital downloads to prints, cards and gifts, to managing your orders, to adding royalty-free music to your site, this is one of the most complete and option-rich ways to get yourself and your work on the market. If you're interested in selling your photography online, you owe it to yourself to take a look at the MorePhotos product line. If you'd like to add some awesome dynamics to your time-lapse videos, but can't put too much strain on the bank account, here's the rig for you. It's a versatile, stable, expandable and inexpensive. Revolve Camera's dolly is a marvel of engineering, combining simplicity with high-quality components. It lets you move your camera laterally or along a circular path, to add a whole new dimension to your presentations. 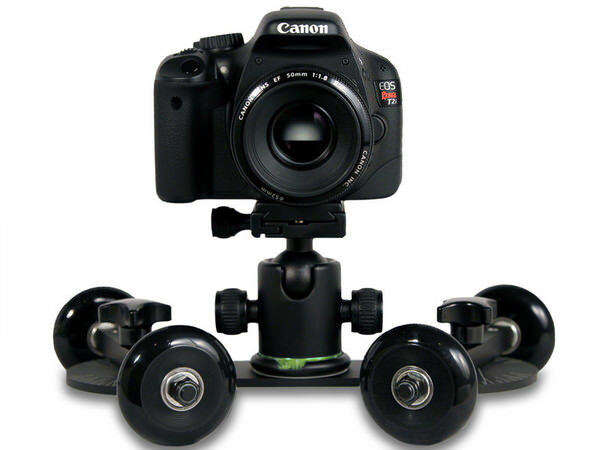 With a 40lb capacity, it handles just about any still or video camera and it has mounting points for accessories like lighting and sound equipment. Fluid bearings and durable rollers give you smooth operation on pretty much any flat surface. One of our favorite things about this inexpensive kit is that it can be easily expanded with accessories to motorize the dolly and even create a fully functional slider system. It's the basic component in a sophisticated system that you can build up a little at a time to add almost any kind of camera motion. Best of all, with this basic kit you can get started for $99.00. Check it out here. After incredible success with Photo Safari Hawaii, Photo Safari is expanding to exciting locations around the world, with a current total of 10 awesome new photographic adventures available in some of the planet's most photogenic locations! For those of you who have never had the photography workshop experience, let us assure you that it's one of the most valuable ways to challenge yoursef, learn new skills and build an amazing portfolio, while having a great time with supportive, helpful people, in locations everyone wants to see. 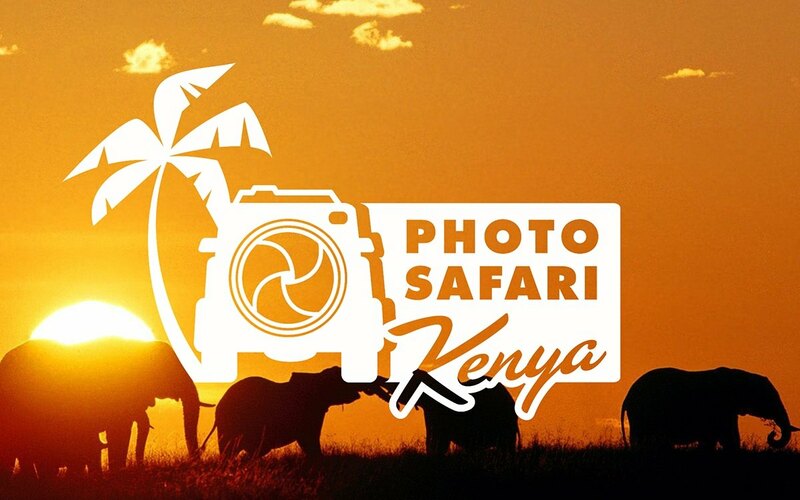 From exotic wildlife to breathtaking landscapes and incredible coastlines, Brian Ross and the folks at Photo Safari Workshops now offer you their world-class photography instruction in some of the world's best "classrooms". They've created a new website that tells you everything you need to know about PSW owner Brian Ross, what the company offers, workshop dates, video presentations and even some of the glowing testimonials from their happy customers. Check it out for the experience of a lifetime! Even with all the educational resources available in today's world, a formal education is still the best way to realize your career goals. Unfortunately, not everyone with an interest in a photography career has the time or funds to pursue a formal education in a brick-and-mortar school. Fortunately, one of those schools had the foresight to bring “distance education” to the public as early as 1956 and today, they're offering what we believe is the best in 21st century education for professional photographers. Their Professional Photography Course consists of 270 hours in 6 units that you complete online, at your own pace and with the guidance of a qualified, responsive professional instructor. You learn everything from the basics to the finer points of the genre you choose to pursue, all in your own home in your own time, from a DEAC-accredited and NYSED-licensed learning institution. We recommend this course for every aspiring photographer, whether you want to “go pro”, succeed as a freelancer, learn some new skills or just take better photos. It meets every standard for higher education and it will meet yours, too, without breaking the bank. If you hurry, you can save money on it right now, too! Read the complete course details and sign up here. Looking for an ultra-bright portrait lens with sharpness that stacks up to any of its competitors? Need a good 85mm for video work with little to no chromatic aberration and amazing bokeh? How about a lens that suits these tasks and more at a cost of less than $300? Do we have your attention yet? This beautifully built lens from Rokinon holds its own against both the Canon and Nikon equivalent at a much lower cost. You're going to have to focus it manually and set your aperture using the lens ring, but those little inconveniences are a small price to pay for the quality you'll get in the photos. Besides, it will keep you sharp, too. With a maximum aperture of 1.4, speed and brightness aren't an issue. Focusing is internal, so the lens remains at the same physical size. 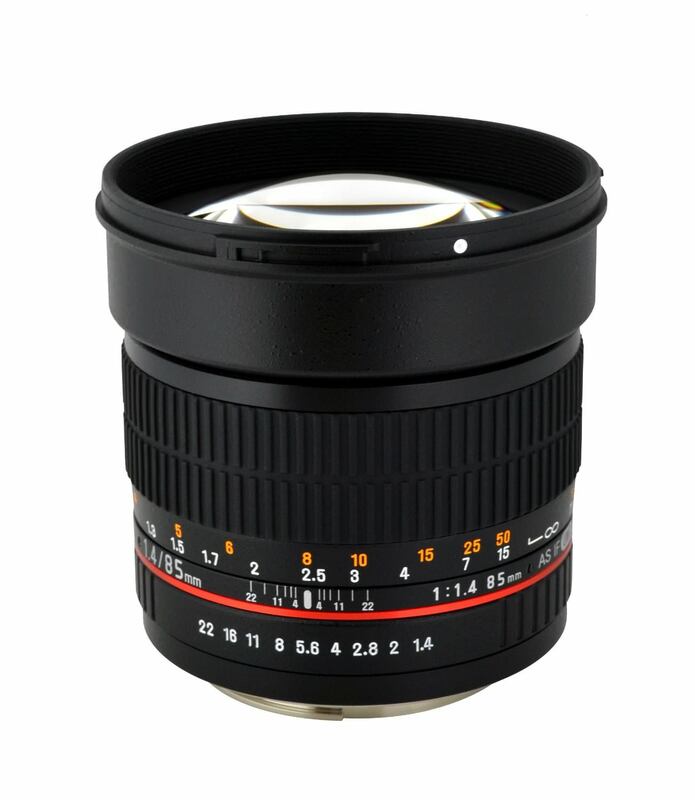 It's a great-looking, top-performing lens that any photographer will enjoy owning and using. Yes? What about the 1-year warranty? It comes with a removable lens hood, caps, pouch and instruction manual and it's available to fit Canon, Nikon, Pentax, Sony & Olympus 4/3 digital cameras. We think you should take a serious look at this one for your next lens purchase. Get the details here.